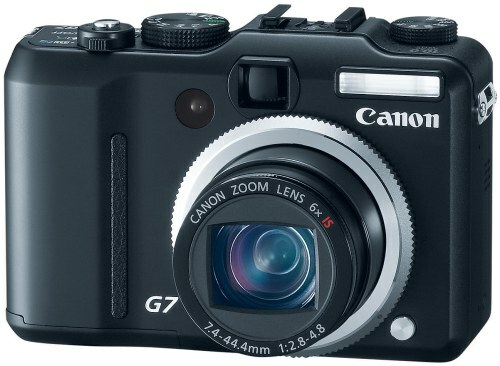 The retro design of the Canon Powershot G7 sets it apart from most point and shoot cameras. Instead of buttons and on-screen menus, the G7 has chosen to use knurled knobs to select the major functions. It has a 10 megapixel sensor which is the current level of professional 35mm digital-slr cameras. It has more than enough resolution to produce the standard 4"x6" print. But I would like manufacturers to take this retro design concept a little further. Why not make the camera out of a light metal alloy, instead of plastic? Add leather to the body like the cameras of old. Instead of using futuristic styling, design it so that it stands the test of time. Don’t you notice how your old plastic gadgets look outdated after a year or so? Why not learn something from Leica? I believe that the technology inside the G7 is enough to last for quite a while. (Electronic failures excluded.) Why not make the outside look like something you want to carry and have 5 years from now?